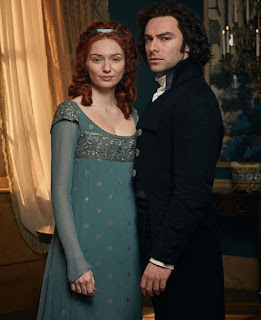 KUED are screening the first episode of Poldark Series 4 in Salt Lake City. The screening will be at The Broadway Cinema on 12 September, 7-9 pm. There will also be competitions and a chance to have you pic taken with Ross and Demelza cutouts. Seating is limited so RSVP tp jrasekhi@kued.org by Monday 10 September if you'd like to book a place.